Although I showed this on page 1, I thought I would put some more photos here. 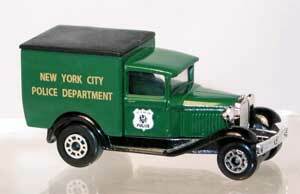 This little truck is awesome! 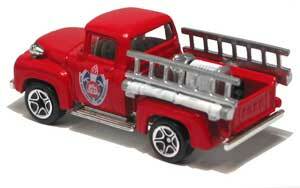 Matchbox 1956 Ford F100 Pick Up. 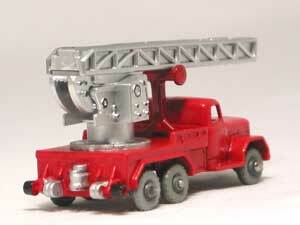 I used parts from a Hot Wheels fire truck and added the light/siren on the front guard. One of my favourite's! 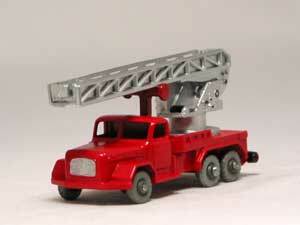 Matchbox Convoy Ford Aeromax. 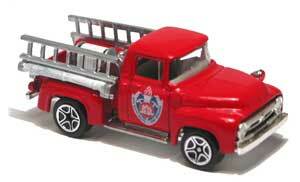 The NSW Fire Brigade has a similar truck for their Hazmat Mobile Unit so I thought I would make my own version. One of my first attempts at decals. These were done on an inkjet printer. Matchbox Checker. 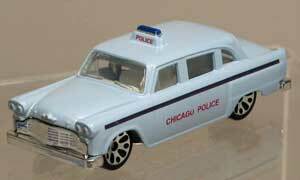 This was originally a taxi but I saw a photo of a Checker police car and couldn't help myself! 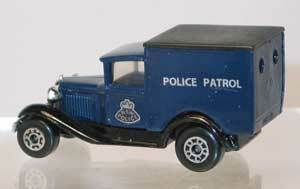 Matchbox Armoured Car. Again, I saw a photo of a similar vehicle with a battering ram attached to the front and thought it looked cool. 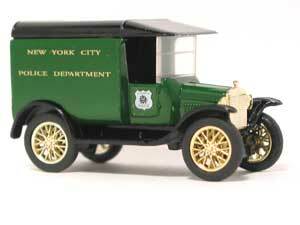 Matchbox Model A and T Vans. 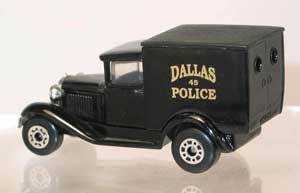 I love old police paddy wagons and these models lend themselves so well. Matchbox Convoy Ford Aeromax. 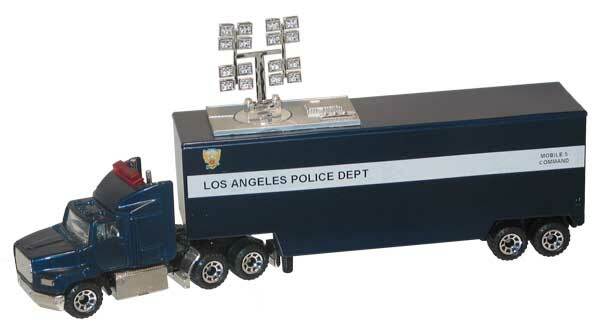 A mobile command unit complete with search lights that revolve.